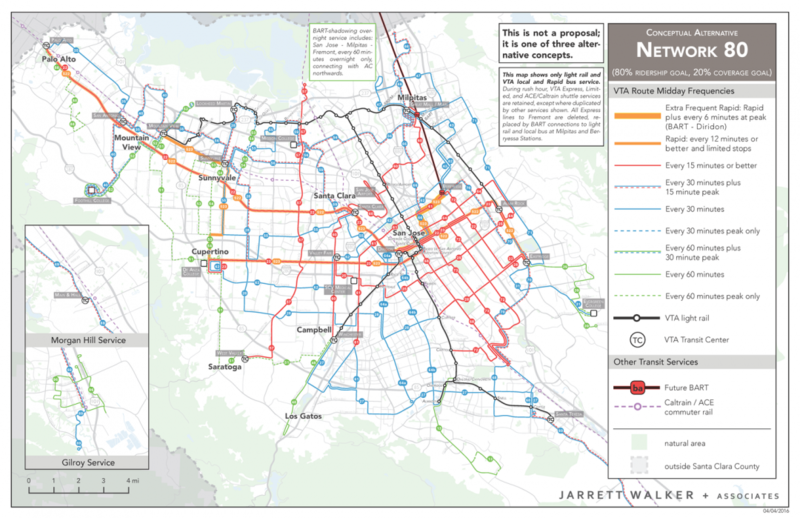 In 2015, JWA was contracted by the primary transit agency in the Silicon Valley region of the Bay Area, Santa Clara County VTA, to carry out the agency’s Transit Ridership Improvement Program (TRIP). A key piece of this effort will be the “Next Network,” to be implemented in 2017 with the opening of the BART extension into San Jose. 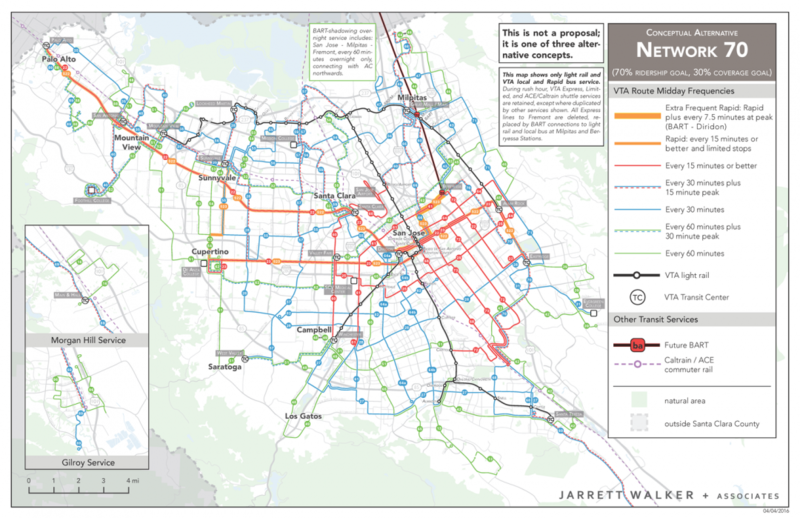 JWA has created a set of Conceptual Alternatives that illustrate how VTA could choose to move in divergent directions in the future, depending on how the agency makes certain key choices. 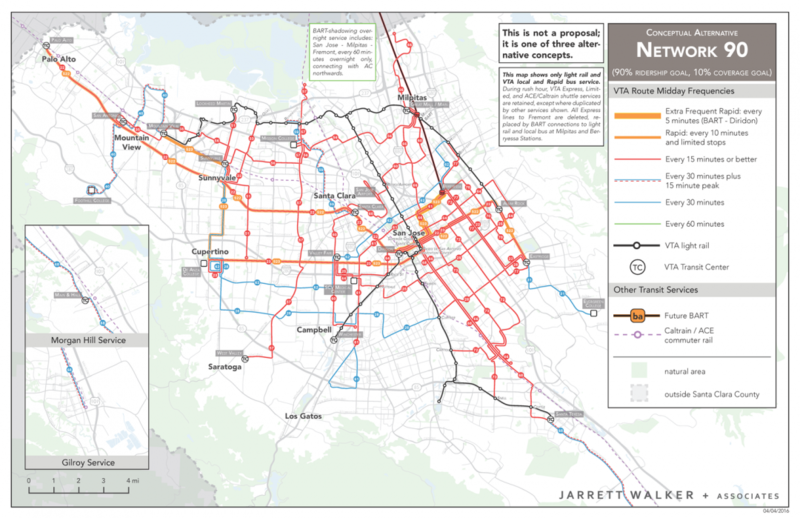 Connections to neighboring and intercity transit services (such as BART, AC Transit and Santa Cruz) have been a major consideration in this project. One of three network alternatives. This complete re-thinking of the countywide transit network has engaged the public, major stakeholders, the County Board of Supervisors, and local elected officials from cities like Cupertino, Mountain View, San Jose and Palo Alto. JWA is providing network design and analysis; communication advice; facilitation of public meetings and events; and operational advice.